1. What did the speaker study at school? 2. What did his dad want the speaker to do for a living? 3. For how long did the speaker work with his cousin? 4. 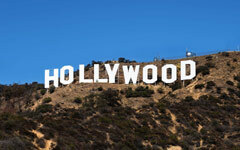 How much money did the speaker have when he arrived in Hollywood? 5. What kind of work is the actor doing at the moment? 1. Did the man miss his flight? 2. Who was the man sitting next to during the flight? 3. Did anyone meet him when he arrived at his destination? 1. When did the man become a ticket tout? 2. What does a ticket tout do? 3. 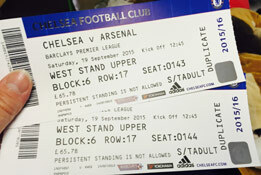 Why couldn’t the man and his brother go to the football game between Arsenal and Chelsea? 4. How much did the man sell the football tickets for? 5. What other sports does the speaker mention apart from football? 1. How long has the man been selling clothes? 2. Which two examples does the man give of occasions when men might need a new outfit? 3. How much money does the man say men could spend on an outfit? 4. Apart from a suit, a shirt, a tie and shoes, what else does the man say men could spend money on? 5. What do you think the man likes most about his job?